Sky Camp is a dropzone located in Kazimierz Biskupi, Poland (Central Europe). Every season we jump over 11 000 times and 3000 of these are tandem jumps (with instructor). We train new skydivers and new instructors (AFF and tandem) every year and our community is constantly growing. 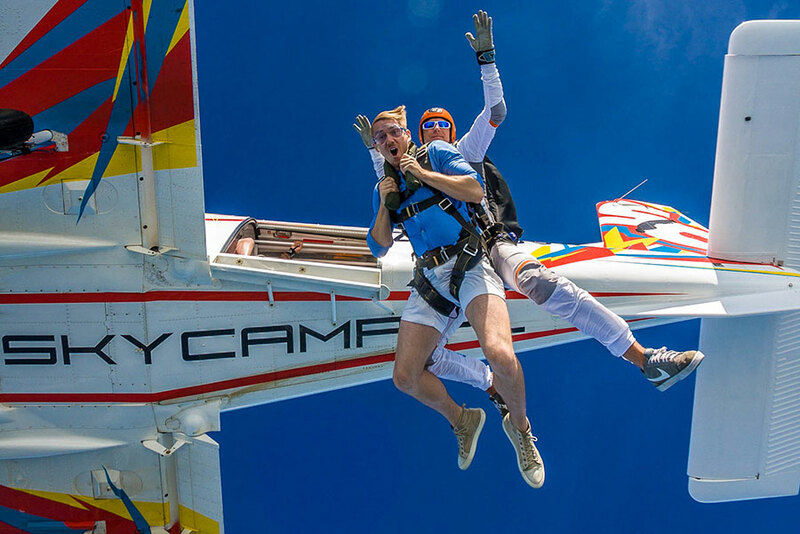 Our instructors jump 400-500 times a year, average number of jumps of our staff is 4000 – this means that we can guarantee best trained and experienced instructors on the market. We only use the best, certified skydiving gear of highest possible quality.